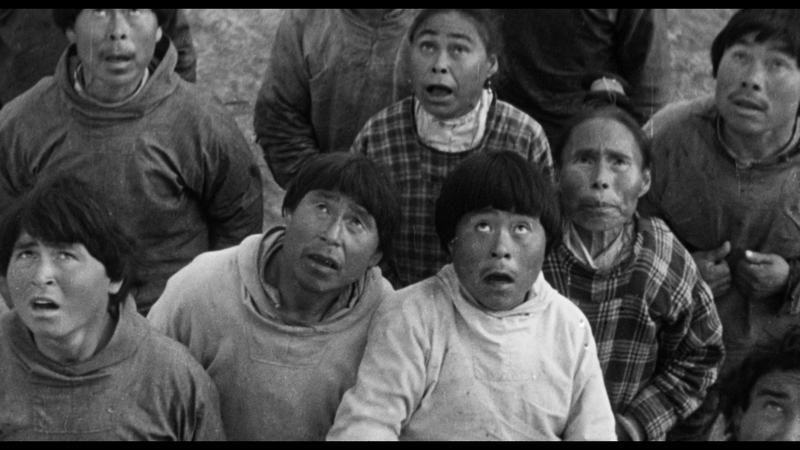 B&W, 1957, 78 mins. 36 secs. With the craze for oversized beasts attacking random cities taking over the 1950s, filmmakers turned to everything from scorpions to gila monsters to lure in moviegoers eager to see Mother Nature strike back (preferably with the help of some atomic radiation). Universal had shown a particular knack for this kind of thing with fare like Tarantula, and near the end of the cycle it was still going strong with The Deadly Mantis. This time the gargantuan thrills were helmed by Nathan Juran, a relative newcomer who had taken charge of a handful of westerns as well as the interesting The Black Castle. Armed with a very low budget and a mountain of stock footage, he created a creature feature that proved his skills firmly enough to move on to the wonderful world of Ray Harryhausen soon after with 20 Million Miles to Earth, The 7th Voyage of Sinbad, and First Men to the Moon, not to mention other much-loved programmers like Attack of the 50 Foot Woman and The Brain from Planet Arous. After a volcanic eruption, sudden tectonic shifts in the North Pole split open an iceberg and cut off communication with one of the outposts. Something prehistoric has escaped from the ice (and you can probably guess what it is based on the title), and Colonel Joe Parkman (Stevens) heads out to investigate. 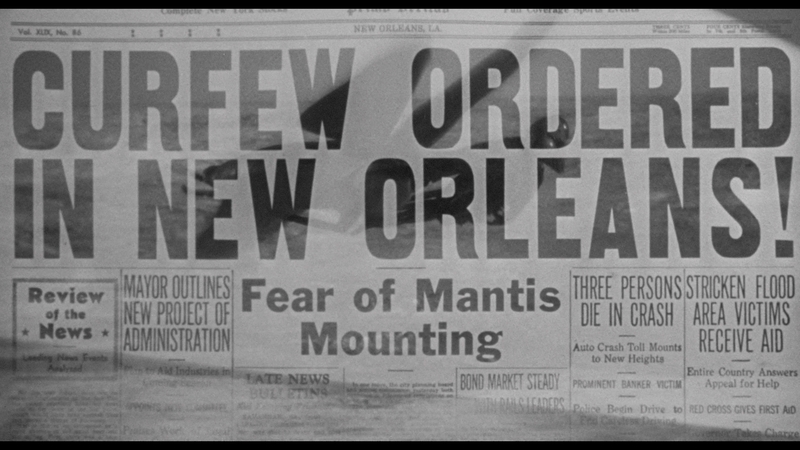 In the process an Air Force plane is attacked by the giant mantis, which sends him to Colorado where he enlists the aid of paleontologist Dr. Jackson (Hopper), magazine editor and photographer Marge Blaine (Talton), and General Ford (Randolph) to get to the bottom of the mystery. Soon the flying insect menace makes its way from the Arctic to North America where it attacks trains and trucks with occasional stop offs at national landmarks. With the creature seemingly impervious to bullets and missiles, can anything stop its seemingly endless path of destruction? 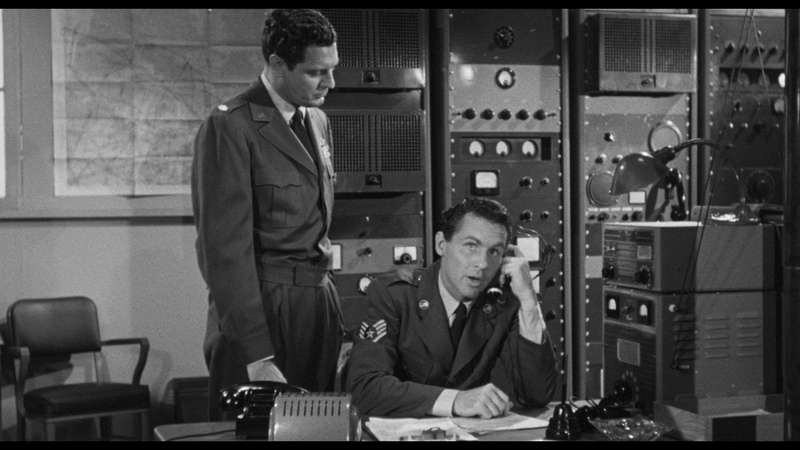 With its satisfying number of monster attack scenes and inclusion of all the necessary ingredients for a '50s sci-fi movie (romantic subplot, military jargon, etc. 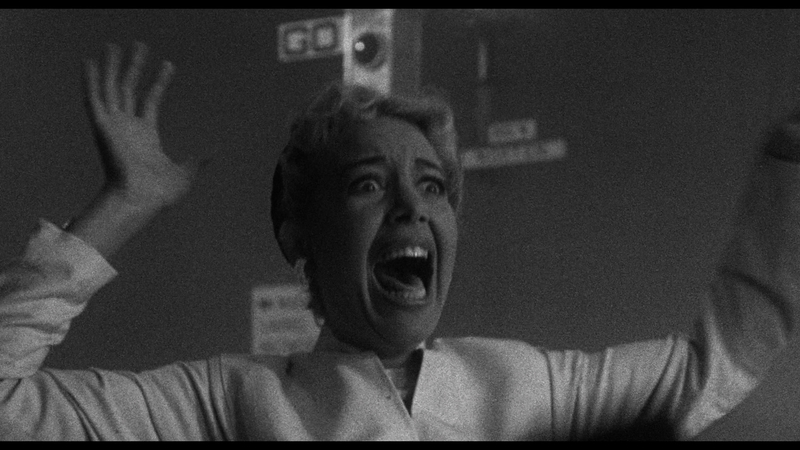 ), The Deadly Mantis became a matinée movie favorite upon its release and has remained a cult classic despite a less than enthusiastic critical response. 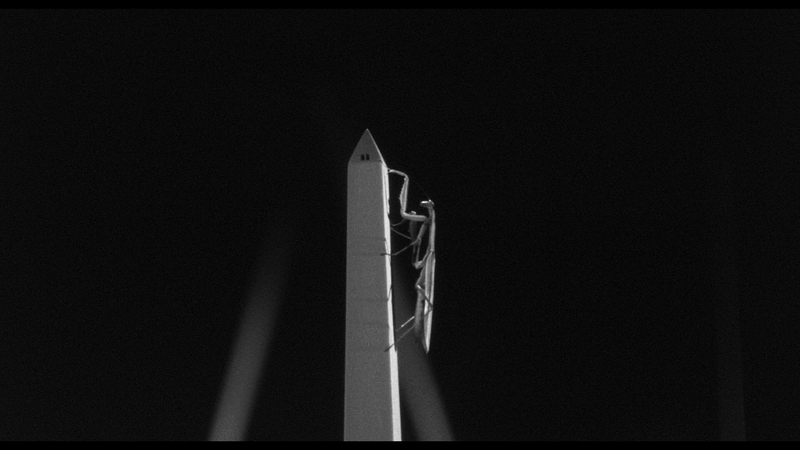 The copious padding in the first half is an amusing touch as the aforementioned stock footage and other time-killing measures are used to get the film to a respectable length, but when it really gets cooking there's a ton of fun to be had with the mantis zipping through the air at 200 mph and even scaling the Washington Monument. Universal first released this film on DVD in 2011 as part of a set called The Classic Sci-Fi Ultimate Collection Volume 2 compiled with Dr. Cyclops, Cult of the Cobra, The Land Unknown, and The Leech Woman, with a later separate release in 2014 as one of the studio's MOD Universal Vault Series editions. 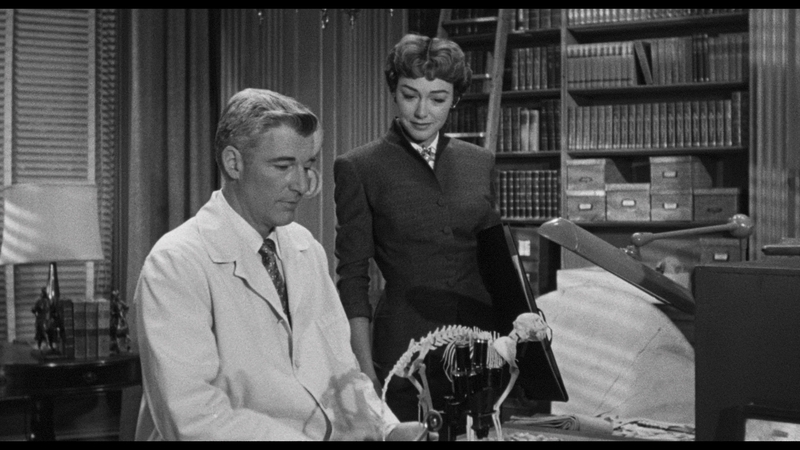 Unfortunately the open matte 1.33:1 presentation makes the film seem sloppier than it really is, revealing set shadows and boom mics that were originally intended to be masked off in the theater. Fortunately the 2019 Blu-ray from Scream Factory restores the intended 1.85:1 framing and looks much, much better than ever before thanks to what's cited as a "new 2K scan of the original film elements." The stock footage is still in rough shape, of course, but the original material is sharp and features nice, rich black levels as well as a nice, natural level of film grain. The DTS-HD MA English mono track is also in pretty solid shape, with optional English subtitles offered. In addition, the film can be played with a new audio commentary by Tom Weaver, one of our preeminent monster kids, with guest appearances by "monster movie musicologist" David Schecter and (briefly) Larry Blamire. It takes a while for things to get going as Weaver deliberately leaves a lot of long silent gaps for the first 8 minutes or so, but after that it's full of info about earlier casting possibilities, the various shooting locations, the various recognizable faces scattered throughout, the audience results from a test screening, and much more. Also included is the Mystery Science Theater 3000 episode devoted to the film (92m16s) with the gang riffing on the film in all the ways you'd expect, as well as the theatrical trailer and a gallery (7m56s) of stills, lobby cards, and other promotional material, including some fascinating alternate preliminary art designs for the poster. Reviewed on March 27, 2019.